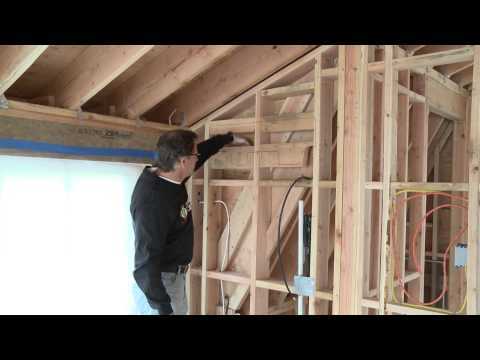 This video will show you how spray foam insulation can insulate buildings that have a complex design. As your local spray foam experts, Foam It Insulation can increase your comfort and decrease your energy bills with spray foam insulation in Endicott, Binghamton, Johnson City, Vestal, Owego, Apalachin, Jackson, Greene, Kirkwood, Conklin, and nearby. We are your trusted spray insulation contractor in New York. R value: Poly spray foam has a higher R-value per inch than any other commonly used insulation —R-6.2 or higher, depending on the formulation. 1-part foam: You've seen and probably used this type of spray foam, which comes in pressurized cans that are sold at home centers and hardware stores under brand names like GREAT STUFF™. This single-component foam is super-sticky and expands at different rates (depending on the type you buy) immediately after application. Since it seals gaps as well as insulates, this product is often referred to as an "insulating foam sealant." Tricky Application: It takes experience to get the feel of applying spray foam, especially two-part foams. With their different expansion rates and other qualities, they prove difficult for someone without experience to get the most of this material. For example, a high-expanding foam will damage a door or window jamb, but our training and experience can prevent this from happening. If you're interested in spray foam insulation for your home, the local experts at Foam It Insulation can help. Give us a call at 1-844-386-0821 or contact us online for a free estimate -- we are your trusted insulation contractor in Johnson City, Endicott, Binghamton, Apalachin, Owego, Vestal, Greene, Kirkwood, Conklin, Jackson, and more. "From phone call to when they where here, very polite..."
"Frank explained how they were going to do the job, and went..."
"Foam-It employees frequent my business so I wanted to stay..."
"On time, worked hard, very friendly and courteous. Very..."
"Answered all my questions in a timely manner"